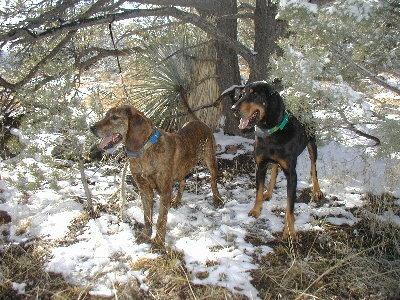 Dan (left) and Bear (right) are both bear rigging & catching dogs. Dan is a plott. He will rig, start, trail and tree his own bear. He was hit in the front shoulder by a bear this spring and doesn't run like he used to. He is 6 years old, neutered and will make a wonderful pup trainer plus rig bears to start your pack in the right direction. Because of his injury price is $1,000. He is featured in the Bear video we have for sale. He will also eat up a feral cat and is a good lion dog. 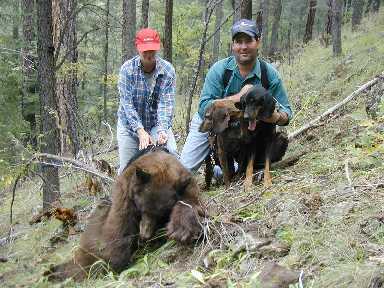 He has made 3 long bear races since his injury. Bear is off the Market.